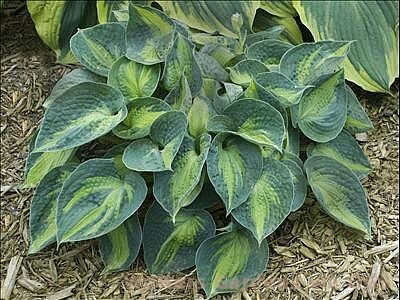 Product Information : Thick and corrugated clump of cupped blue foliage, highlighted by a dramatic golden central pattern that ages to cream. White flowers in late spring. Mature Size : 20" x 30"